Axis & Allies & Zombies not only adds rules for zombies but it also changes some of the core rules. Here’s a few bullet points about the changes. A new map, roughly based on Axis & Allies 1941 but has more territories and sea zones with different placements of Industrial Complexes and the new Recruitment Centers. It also has new bright colors and new iconography. More details in the future when we have a copy of the game. Recruitment Centers work exactly like Industrial Complexes but only infantry can be produced there. Purchase units phase is eliminated, units are purchased immediately prior to mobilization. The straits of the Dardanelles are impassable, which is not exactly a change from 1941 but what is new is that Turkey could become non-neutral during the course of the game, making the straights passable. No new Industrial Complexes and no new Recruitment Centers. No anti-aircraft guns, cruisers, nor mechanized infantry (wait, what mechanized infantry?). You can only land fighters on your own aircraft carriers, so no more USA fighters landing on UK carriers. You can only use your own transports, which is fine, this was rarely used anyway. New battle dice have replaced the 6 with a zombie hit symbol. Zombie cards are drawn in the first phase of each players turn. Zombie units, which use the zombie dice to attack a defender or attacker. Whenever an infantry is removed from the board, it become a zombie in place. Zombies can also appear via the Zombie cards. Rules for playing Zombies with 1942 SE are included in the rulebook. We will cover this in a future post. 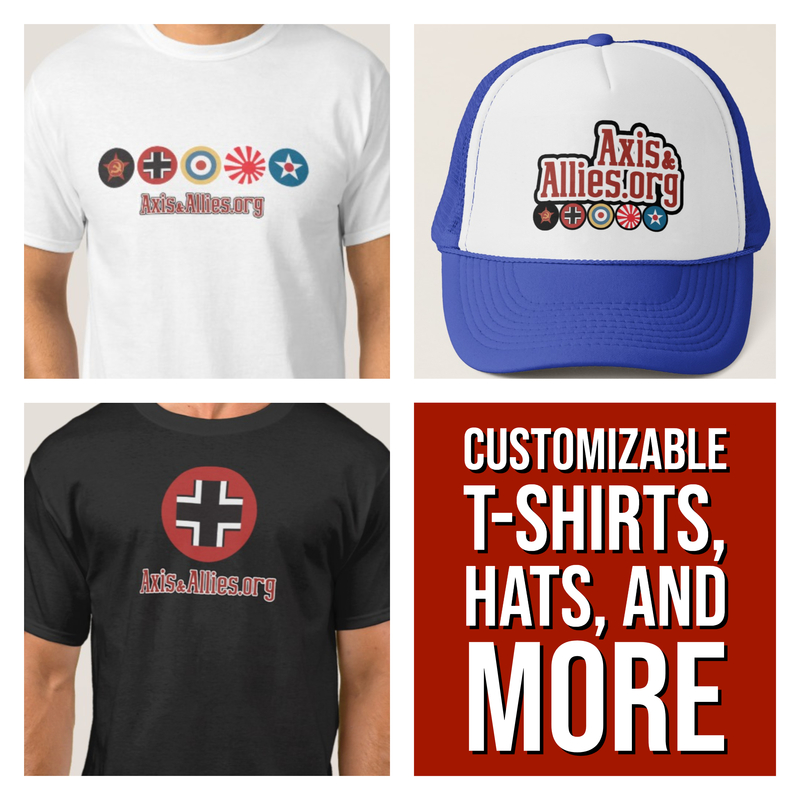 The Allies win the game if they control one Axis capital and all of their own capitals. The Axis win the game if they control one Allied capital and all of their own capitals. However, the game can end early if there is a Zombie Apocalypse. At the end of a round, when the USA is done, if the zombies control 25 IPCs worth of territories, everybody gets one more turn. At the end of the final round, “the side that controls the greatest IPC value of zombie-free territories wins the war.” In case of a tie, the side with the most total IPC income wins. When you draw a card, follow the directions on the top of the card, labeled Desperate Times. This section of the card results in more zombies being added to the board. 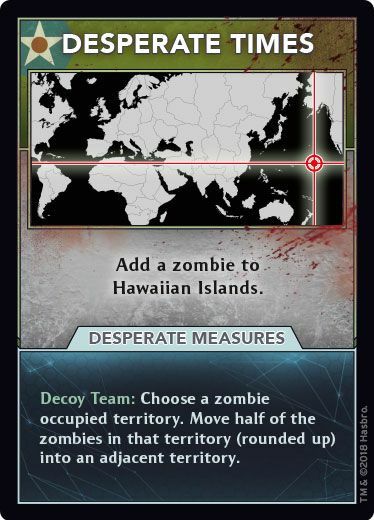 An optional rule is to play the Desperate Measures section of the card, which gives benefits for fighting zombies including special technology. In each territory controlled by the current player, the zombies attack. Roll one zombie die for each zombie in the territory. On a roll of “D” you must remove one unit from that territory. If you remove an infantry, replace it with a zombie (as always) but that newly placed zombie does not get a roll. Zombies control territories when there are only zombies in the territory unless it has an Industrial Complex, then there must be more zombies than the IPC value of the territory. The main change here is that friendly units can end movement in a friendly controlled territory in order to fight zombies. Tank blitzing rules are not changed for zombies in friendly controlled territories. However, in unfriendly or zombie controlled territories, zombies stop movement, like industrial complexes. The combat phase is modified slightly for zombies. You may also fight zombies in your friendly territories. You must fight zombies in friendly territories into which you moved units. The language of the rules would seem to indicate that a blitz through would trigger the must attack zombies but it is not specific on that point. Place units on the battle board. Presumably optional for experienced players. Submarine strike or submerge. No change. Zombies bite. For each zombie unit the defending player rolls a zombie die. For each “A” the attacker moves a unit of their choice into casualties and for each “D” the defender moves a unit of their choice into the casualties. Air units, however, cannot be chosen as casualties. Attacking units fire. The rules are basically the same with the following additions for zombies. Extra hits not assigned to units hit zombies instead. For each roll of 6 (which is a zombie head on the attack dice), a zombie is destroyed. Defending units fire. The new additions are the same as attacking units fire. Generate Zombies. For each infantry removed add a zombie to the battle board. Yup, recursive zombie battles. Press/cease attack or retreat. The changes to this step have quite a few special situations. Regular combat ends if the attacker or defender is eliminated or if the attacker retreats. If there are still zombie units, the attacker may keep attacking those zombie units. When attacking only zombies (whether in a friendly territory or at the end of a battle) you don’t need to retreat, instead you just stop attacking them. If you have units left in a territory after a battle, you take control even if there are zombies there. If both sides have no units remaining, control does not change. The rules do not indicate in this section that if the territory only contains zombies after a battle, then control remains with the defender. However, zombies do only capture a territory in Phase 3. If you liberate a zombie controlled territory, the power who liberated it receives one infantry for free. Land units can move into and through friendly controlled territories that contain zombies even if there are only zombies, which can happen. Air units can do the same as above in that they can land in friendly controlled territories that contain only zombies. Unfortunately, the only place in the rules where is says you can only land on your own carriers (i.e., cannot use the carrier of an ally) is in the beginning of the rules where it outlines “Core Rules Changes.” In fact, in this section, it says fighters can land on “friendly” carriers. Friendly is defined as your power or an allied power. We would consider the rules to be contradictory on this point. Step 1: Purchase Units. Nothing new here. Step 2: Mobilize Units. No changes except that now we have Recruitment Centers that work just like ICs except they produce only infantry. 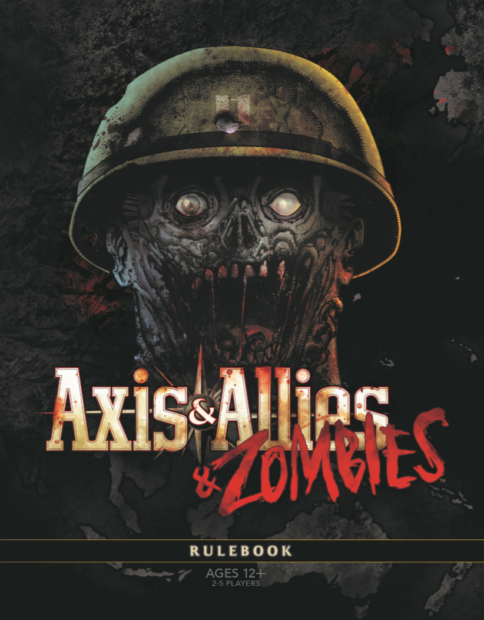 Greg Smorey put together a cheat sheet of some of the rules for Axis & Allies & Zombies.